At their Annual Preservation Award ceremony at La Tourelle Resort & Spa on May 7th, Historic Ithaca presented HOLT Architects with a “Historic Preservation Award of Merit” for their design of Breckenridge Place. 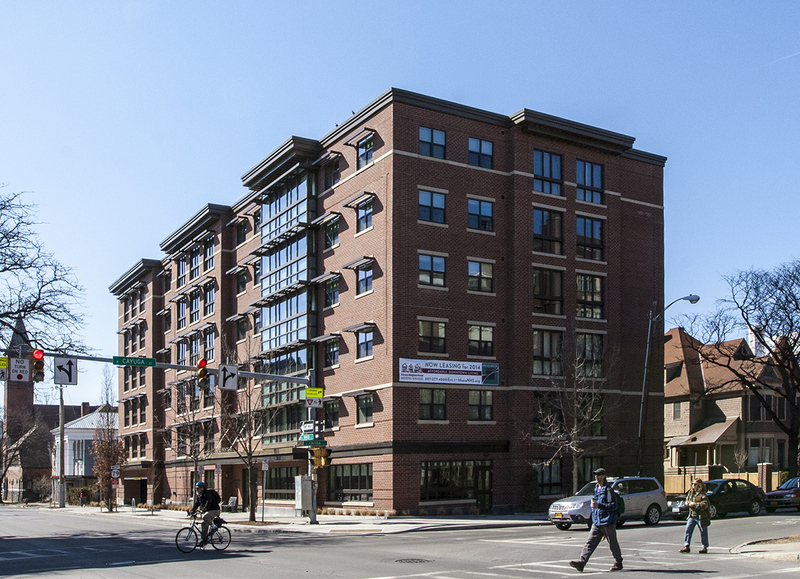 The new, 50–unit apartment building was bestowed this award for its “excellence for new construction sensitive to its historic context” and “efforts toward preserving the architectural heritage and historic character” of the Ithaca community. Breckenridge Place is owned and operated by Ithaca Neighborhood Housing Services and PathStone Development Corporation. This is the fourth design award for the building in the past year, and second award citing the building’s seamless integration within the neighborhood context. Celebrating over 50 years in business, HOLT Architects has worked on over 100 projects in Tompkins County, including 30 new buildings in the City and Town of Ithaca. HOLT focuses on providing socially and environmentally responsible architecture to community, business, healthcare and higher education clientele. Breckenridge Place was bestowed the “Historic Preservation Award of Merit” for its “excellence for new construction sensitive to its historic context” and “efforts toward preserving the architectural heritage and historic character” of the Ithaca community.